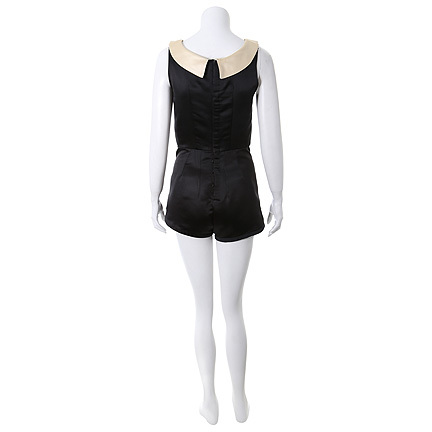 This outfit was worn by “Jess” portrayed by actress Zooey Deschanel during the Season 2 Premiere of “New Girl” in “Re-launch”. 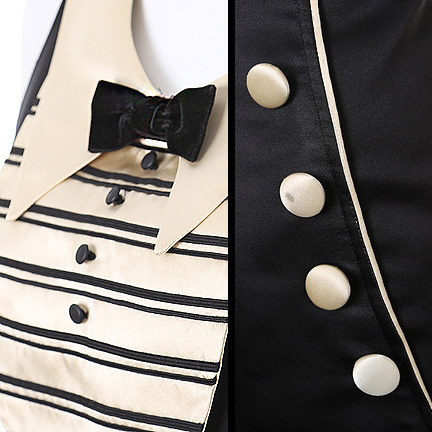 The vintage black and white satin cigarette girl costume is in good condition with evidence of wear due to its age and use on subsequent productions. 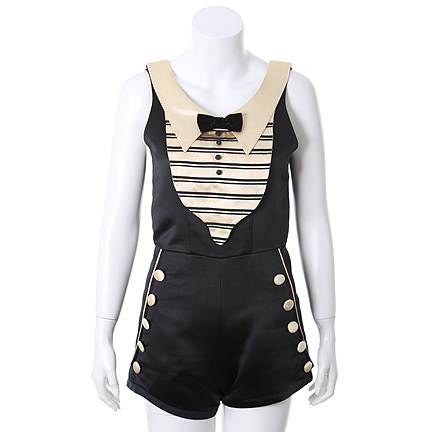 Ms. Deschanel wears this outfit when Jess volunteers as a “shot girl” for Schmidt’s (Max Greenfield) party, after being laid off from her job as a teacher. Parker Posey guest stars as “Casey” in this episode, a cynical cocktail waitress working alongside her at the party. Jess’ initial feeling about being a shot girl isn’t wholehearted until she realizes that she does have a wild side. “New Girl” is an American sitcom from Fox Television Studios. It stars Zooey Deschanel as a lively young girl who moves in with three young men played by Jake Johnson, Max Greenfield and Lamorne Morris. 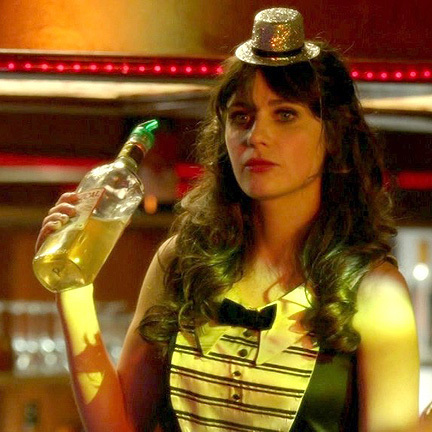 The show has been nominated for several awards including a Golden Globe for Best Comedy Series and for Outstanding Lead Actress in a Comedy Series for Zooey Deschanel. Accompanied by a letter of authenticity from the costume house.